Anticipation was building. 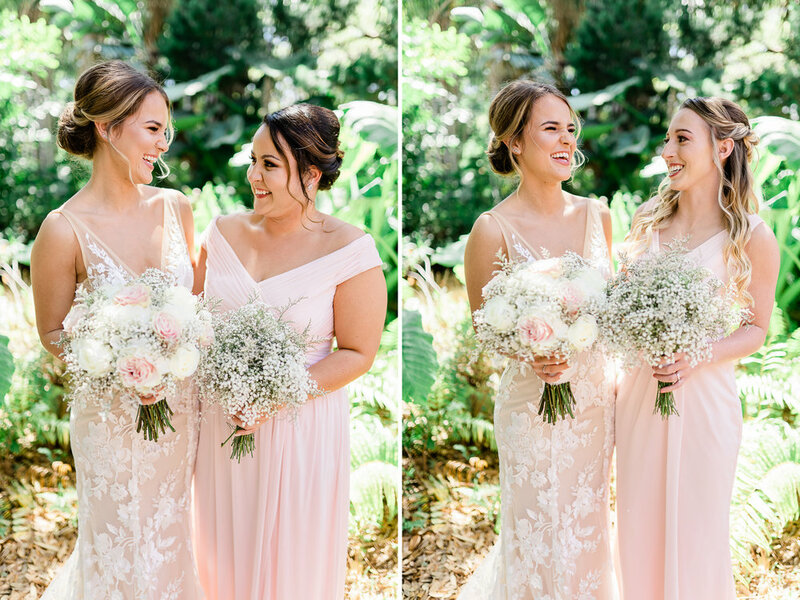 It was moments before Savannah was set to walk down the aisle. 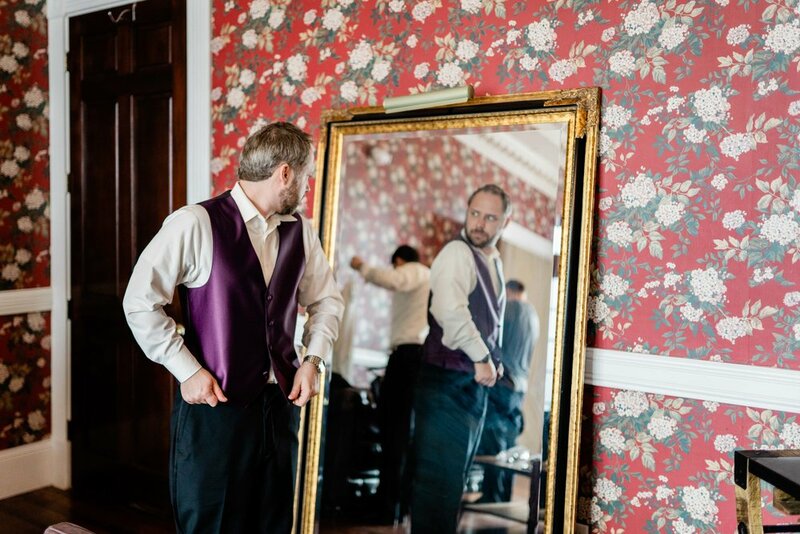 Eric looked longingly toward the barn doors that soon would open to reveal his beautiful bride. 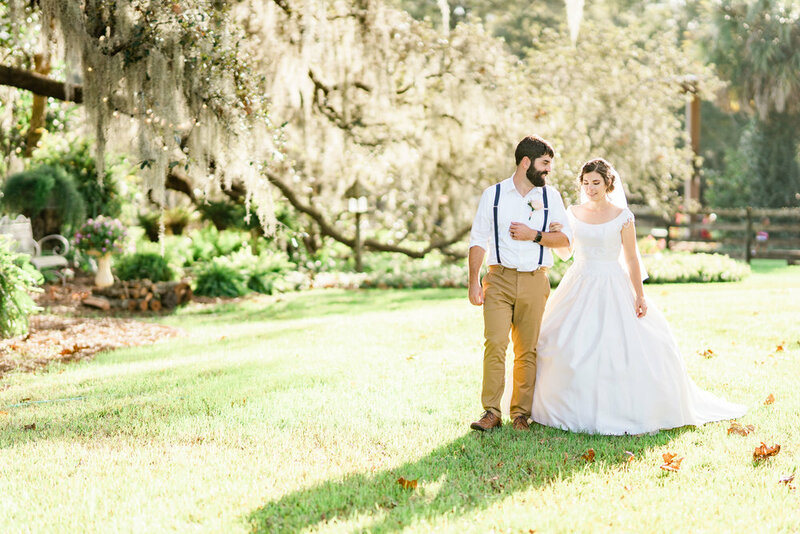 Savannah and Eric had planned for this day for a long time, and the moment was finally here. As their wedding guests rose to greet Savannah as she walked down the aisle, Eric's face broke into an eager smile. The time had finally come. 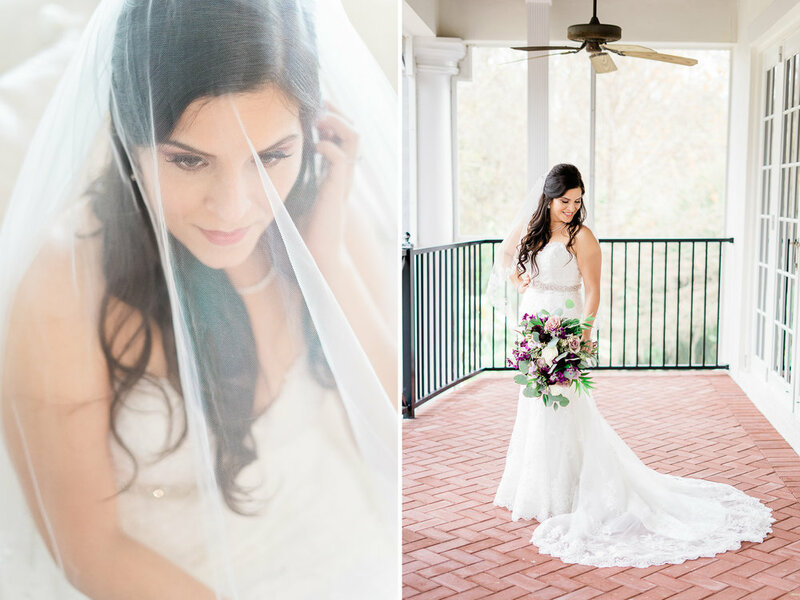 Savannah and Eric's gorgeous wedding at The Delamater House was one for the books! 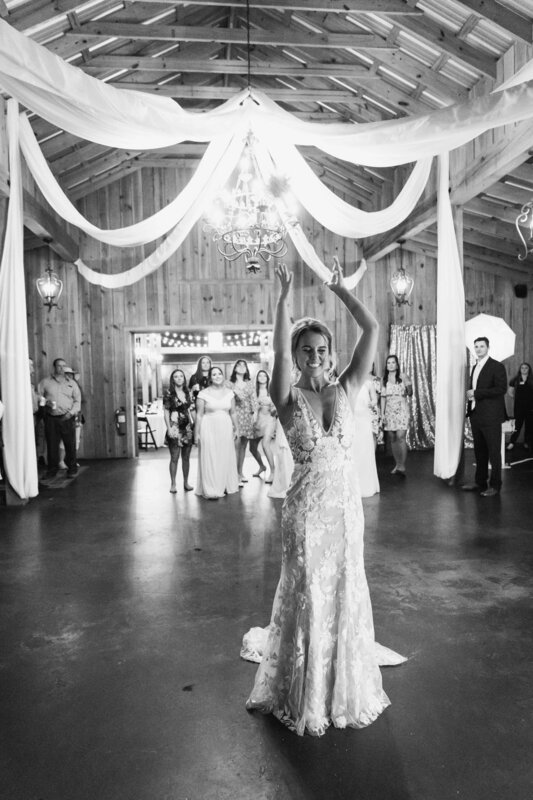 Savannah looked absolutely stunning in her Made With Love gown from Olivia Bowen Bridal. 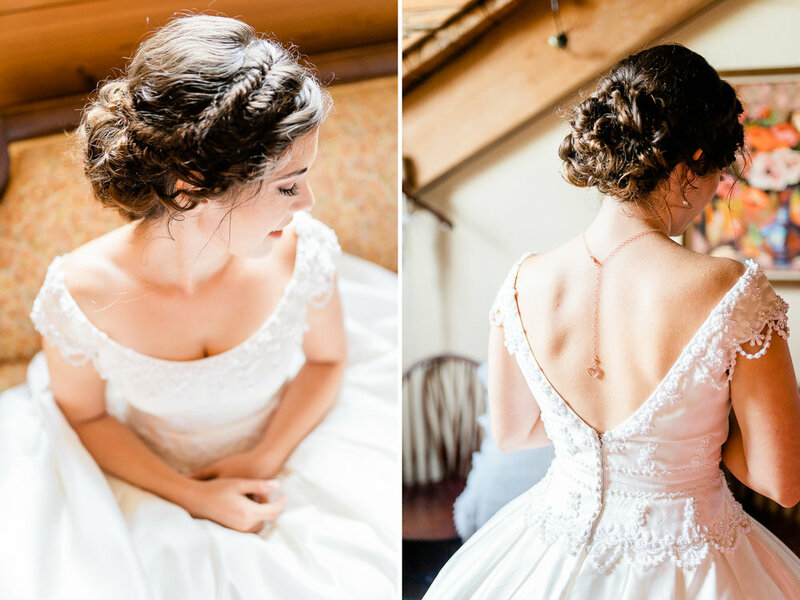 The lace detailing was gorgeous, and the dress fit her like a glove. 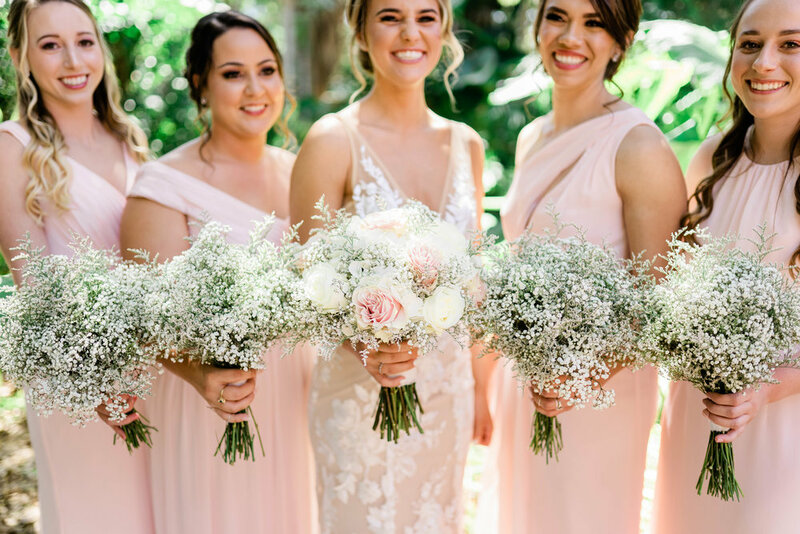 Her bridesmaids were lovely in their blush gowns. 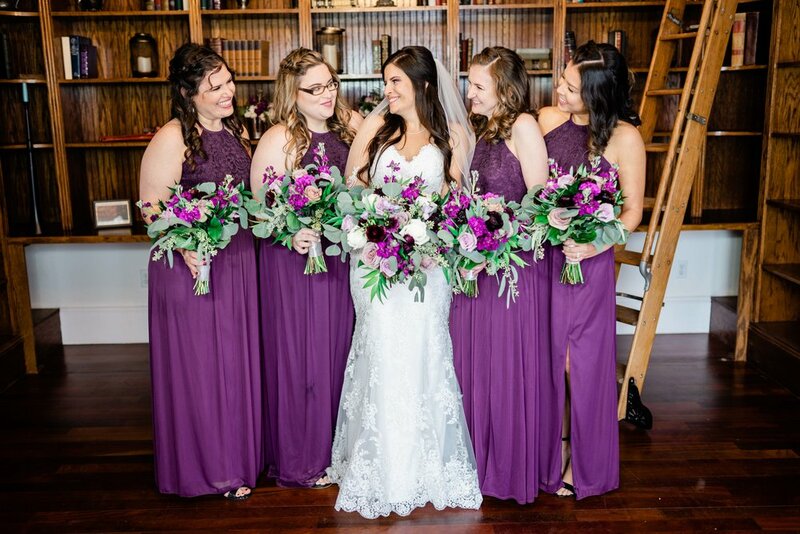 It makes our job easy when everyone is as beautiful as this wedding party was! 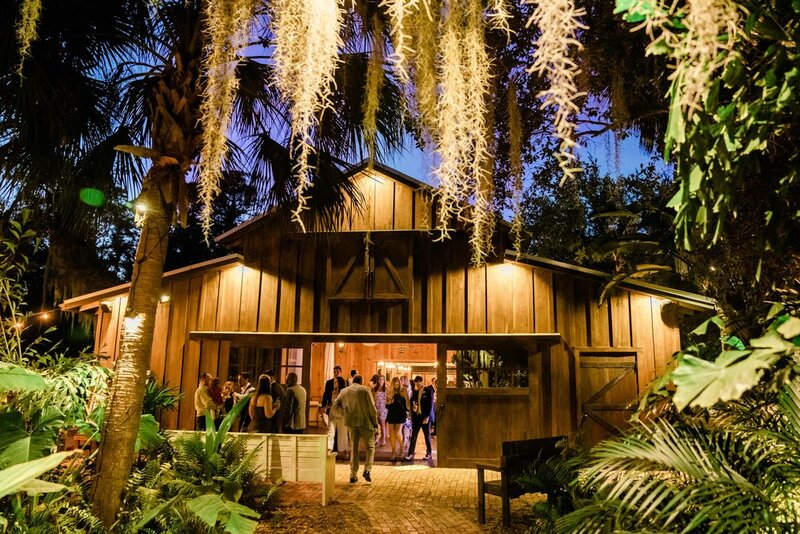 The Delamater House is a beautiful upscale barn venue in New Smyrna Beach, Florida. This was our first time out to this venue, but we hope to be back soon. The staff was amazing, and the location was absolutely stunning. That tree lined road was something from a fairytale, and the sun shining in from behind it was pure magic. 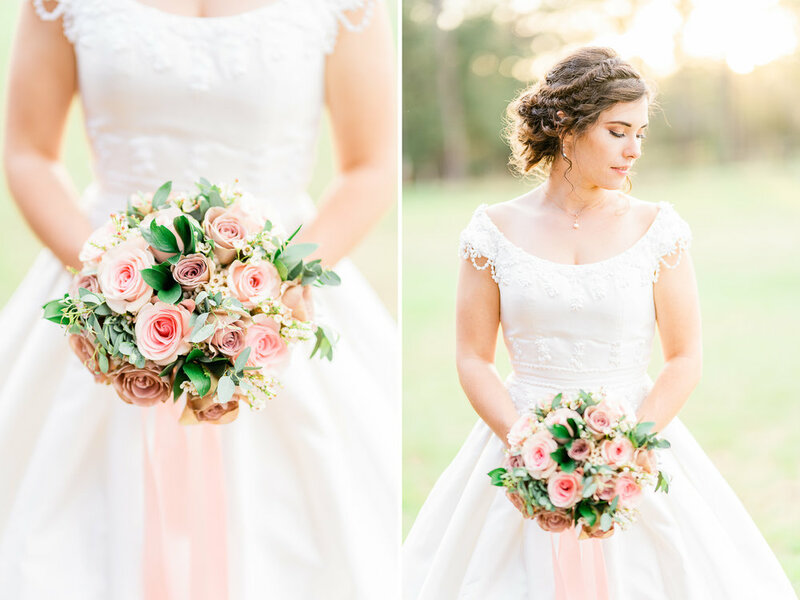 If every Saturday were as gorgeous as this day was, I would die a very happy wedding photographer. 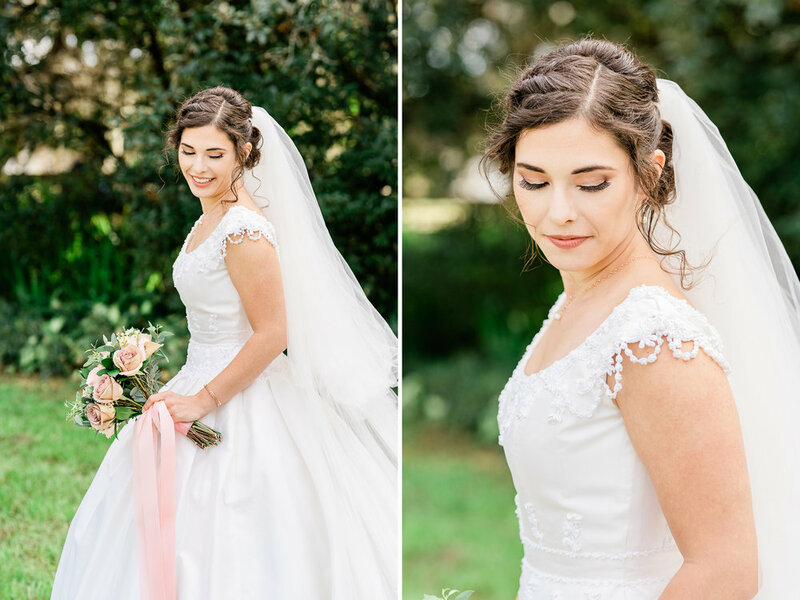 Savannah and Eric, thank you for trusting us to capture this day for you. 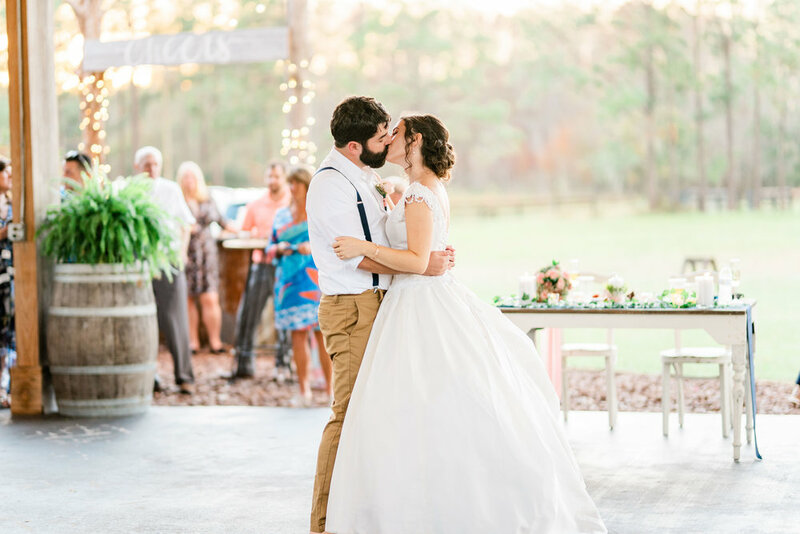 Your wedding was filled with so much happiness and love, and it was a joy to be a part of it. We wish you all of the love and happiness in the world. Congratulations again on your marriage!!! We could not be happier for you. 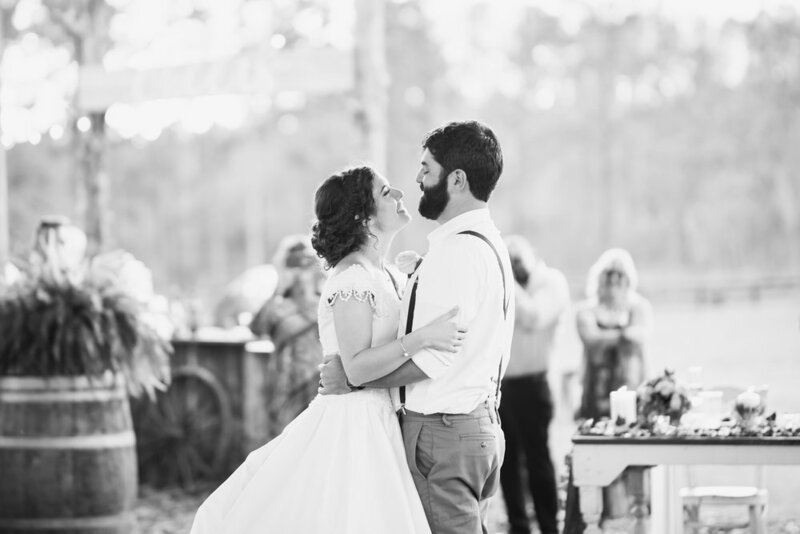 Are you looking for a photographer for your Florida wedding? Click here to contact us. We can't wait to hear from you! We’ve mentioned Ben and Tori before here, and how much fun they are to work with. Through their engagement session with us, Ben and Tori got to know how Amanda and I work together, and they gave us full freedom to capture their day. 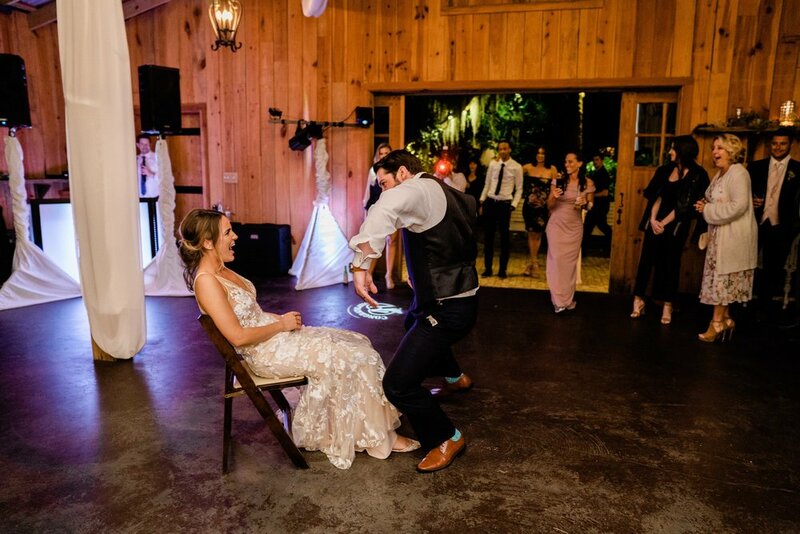 This allowed Ben and Tori to relax and enjoy their big day knowing that we would be capturing every moment for them to remember for years down the line. Ben and Tori did a first look. 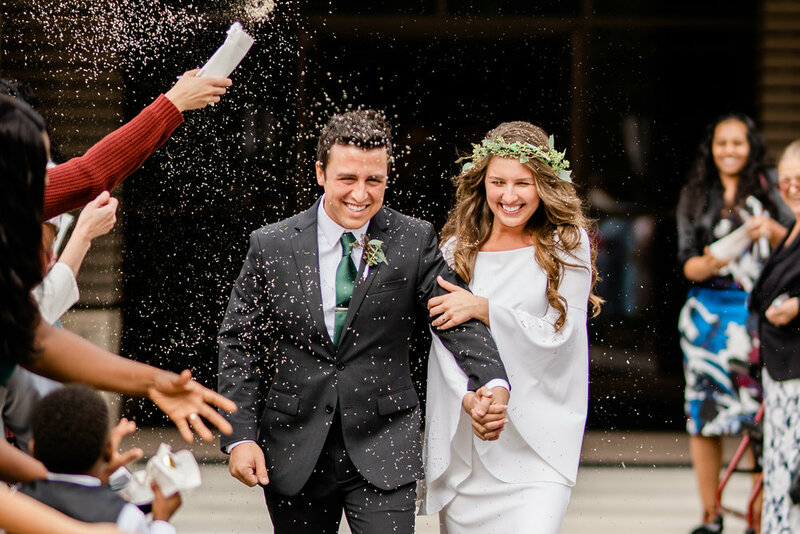 While Ben waited outside with a letter for his bride to be, Tori came around the corner with the biggest smile on her face and a beautiful crown of greenery encircling her head. 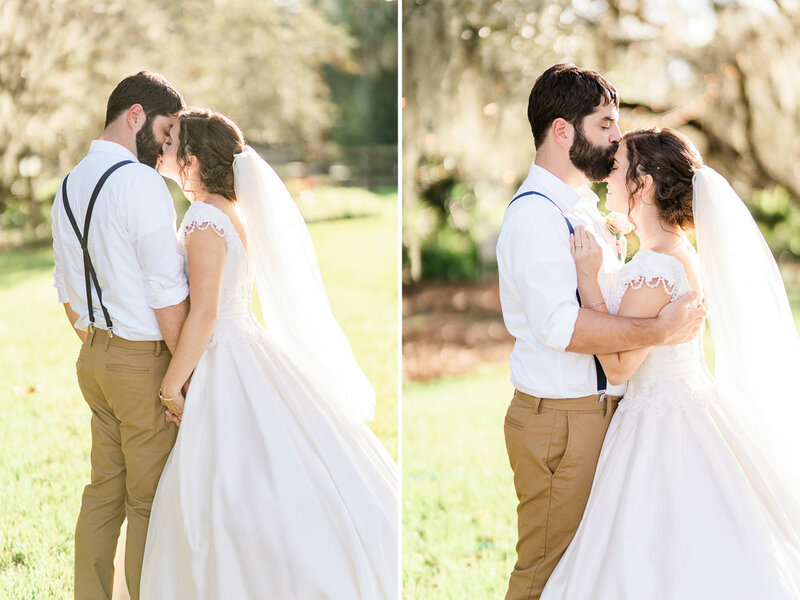 Once Ben felt her hand on his shoulder, he turned and laid his eyes on his bride for the first time that day. It was a beautiful moment they shared. They each had written a note to the other and traded messages. Each was brought to tears, and the love they had was beautiful to see. 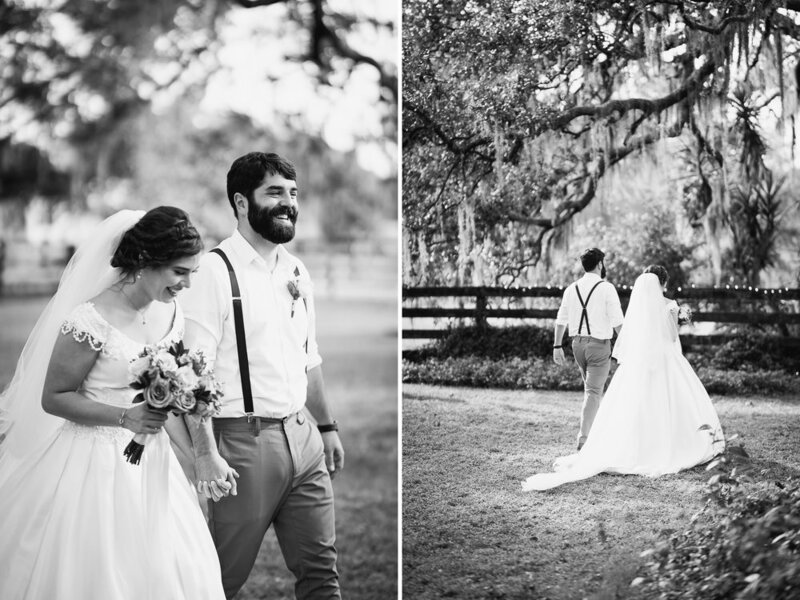 Needless to say, moments like these are why we love first looks and encourage them. Between the ceremony and reception, we had the opportunity to take some more pictures; only this time inside the museum with the new Mr. and Mrs. We scouted some of Ben and Tori’s favorite pieces and took some pictures highlighting both the wonderful location they chose to be married in and the unique backdrop it made for their wedding pictures. Ben is a lot like me. He is a lot of fun and has a goofy side to him. Something about the setting and one of the pictures really made him think of the artpiece American Gothic, so he wanted to take a picture with him and Tori posing as the American Gothic couple. Tori is always up for anything, so she jumped right on the idea and we all had a lot of laughs as they were creating their own “Florida Gothic”. The reception was held in the front room of the museum. 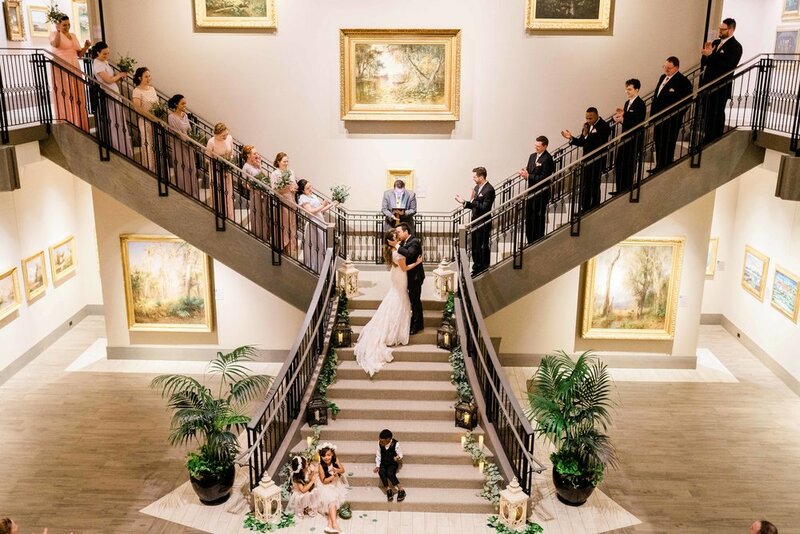 Ben and Tori were seated with their wedding party at the head table, and behind them was a long painting spanning the entire length of the wall with images of classic, old Florida. Their family and friends were then seated throughout the room and flanked by more artwork. 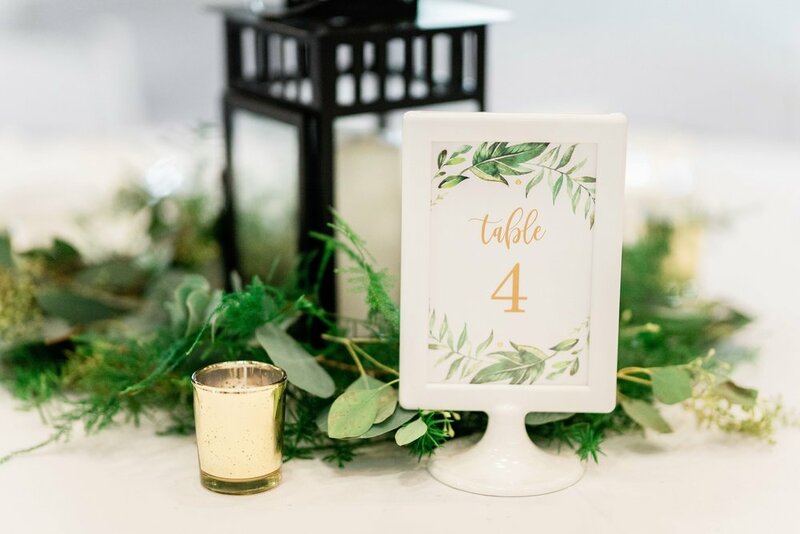 Their reception was an intimate setting with Ben and Tori making their way around to each table thanking them for joining them on their wedding day. 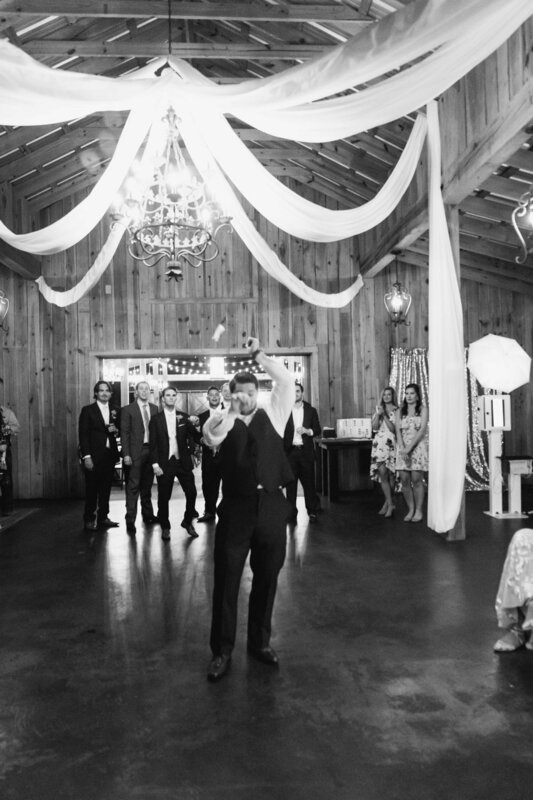 Many of the guests were taking pictures on a Instax camera and posting them to a pin board that had been provided to them with messages of congratulation and thanks. At the end of the day Ben and Tori made their grand exit flanked by loved ones all throwing lavender and celebrating the joyous and shining couple. 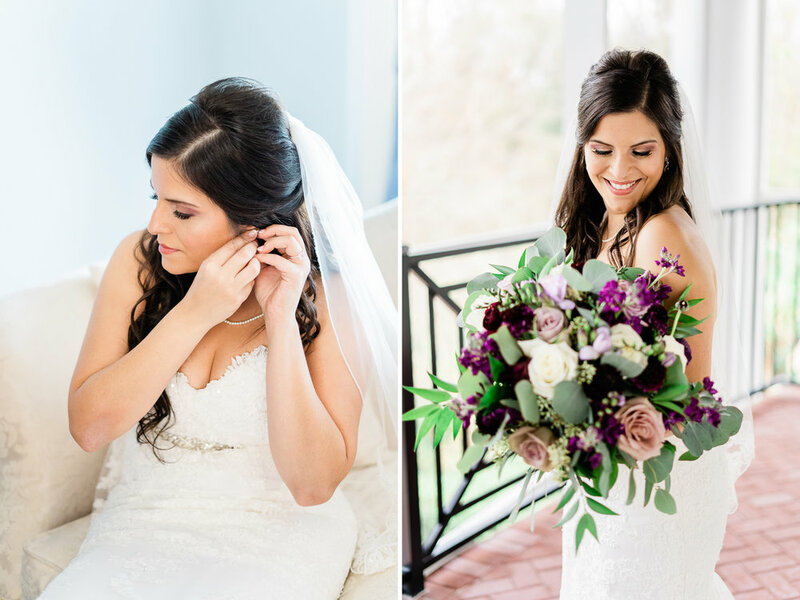 Ben and Tori, thank you for letting us capture your big day. Amanda and I were honored to be there and can’t help but smile as we think back to your perfect day. 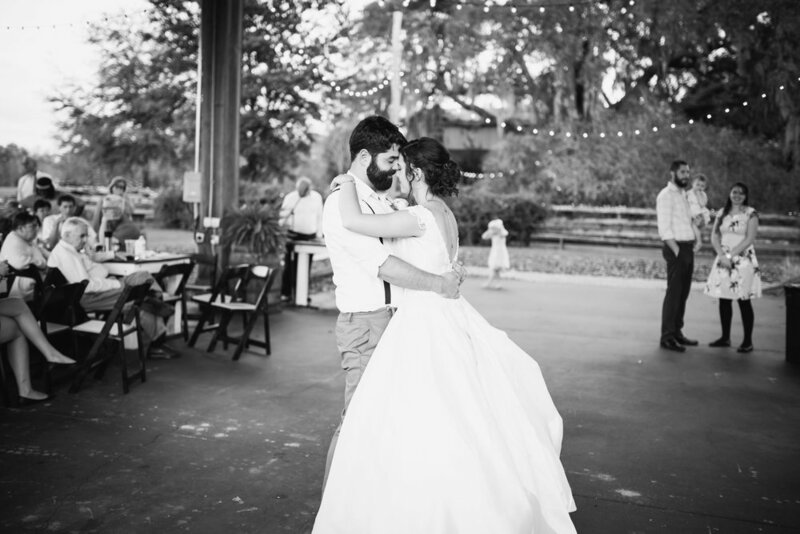 As they twirled together on the dance floor, they only had eyes for each other. A version of Perfect by the Pentatonix played, and Michelle and Michael danced together in their own little world. 🎵Dancing in the dark with you between my arms…I don’t deserve this, darling you look perfect tonight. 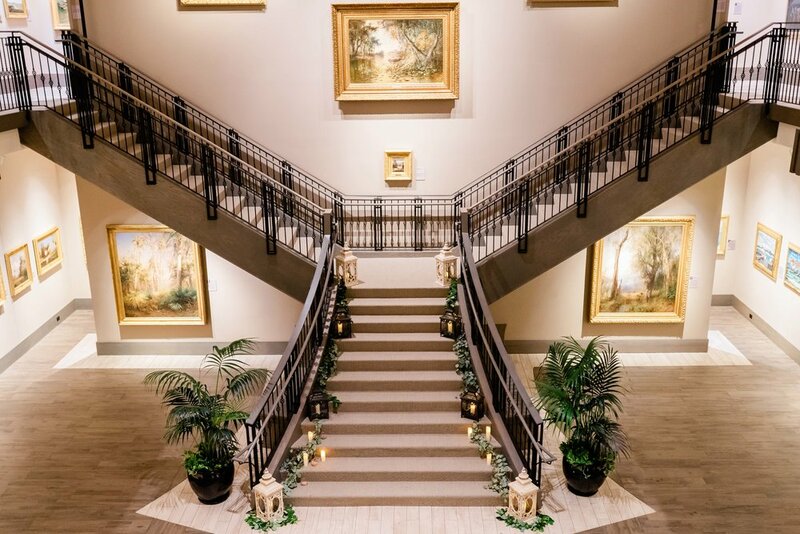 🎵After months of planning, their perfect wedding day was here. 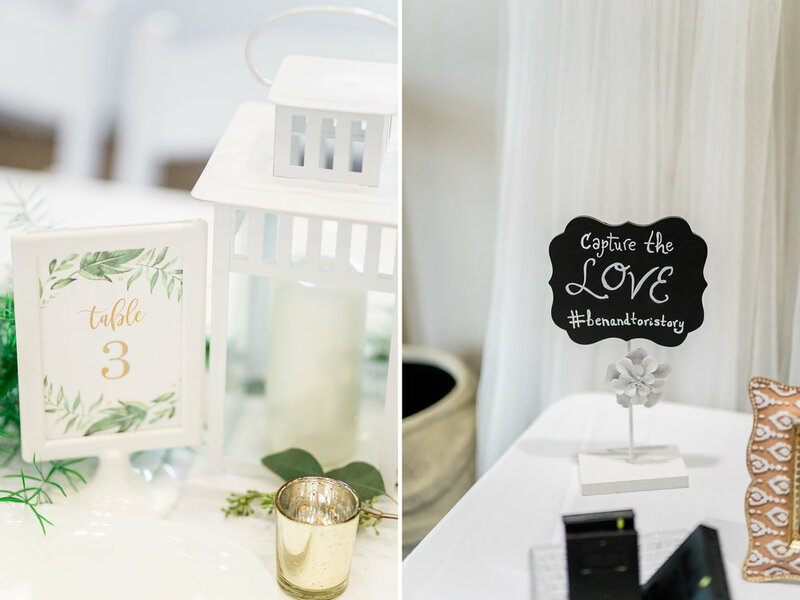 One of the things that drew Michelle and Michael to choosing the Luxmore Grande Estate as their wedding venue was the library room. 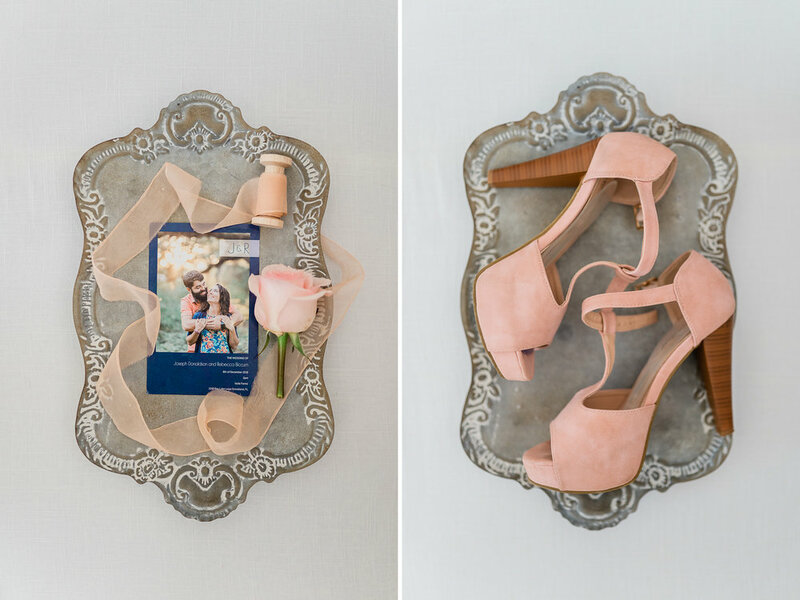 If you remember from their engagement session blog post, Michelle is an avid reader. She even has her own blog and instagram where she discusses the books she reads (and she reads A LOT of books), and even does give-aways. Check out her instagram here. 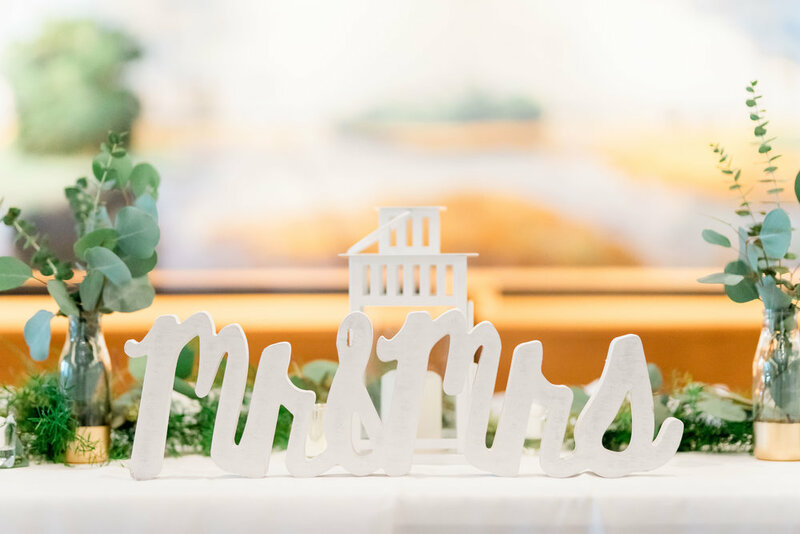 Michelle and Michael planned for their entire wedding theme to be based around reading and books. It was an great idea and had an INCREDIBLE execution! 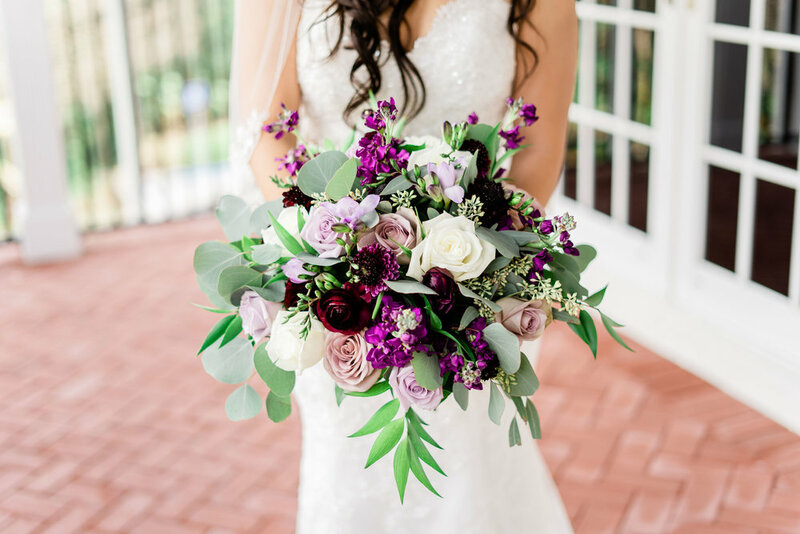 To help with all the planning and execution Michelle hired Anna Christine Events to ensure everything was perfect. 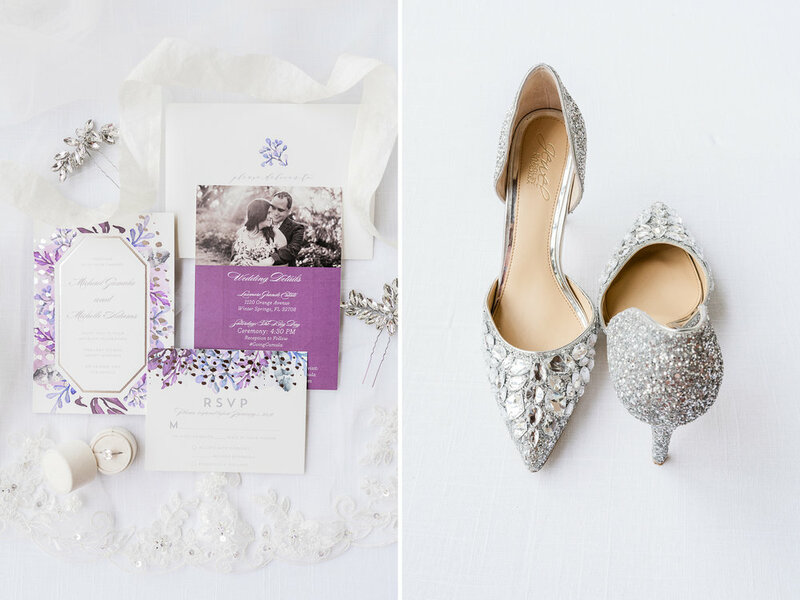 Working with a planner really helps ensure that your wedding day is smooth and trouble free. To help bring their vision to life, Michael built this incredible seating chart board. He took old books and converted them to hold souvenir bookmarks that had each guests name on it. The book each bookmark was in was the table their guests would sit at! Each table had a literature genre such as Romance (this was Michelle and Michael’s table of course! ), and one of Michelle’s favorite genres - Young Adult. 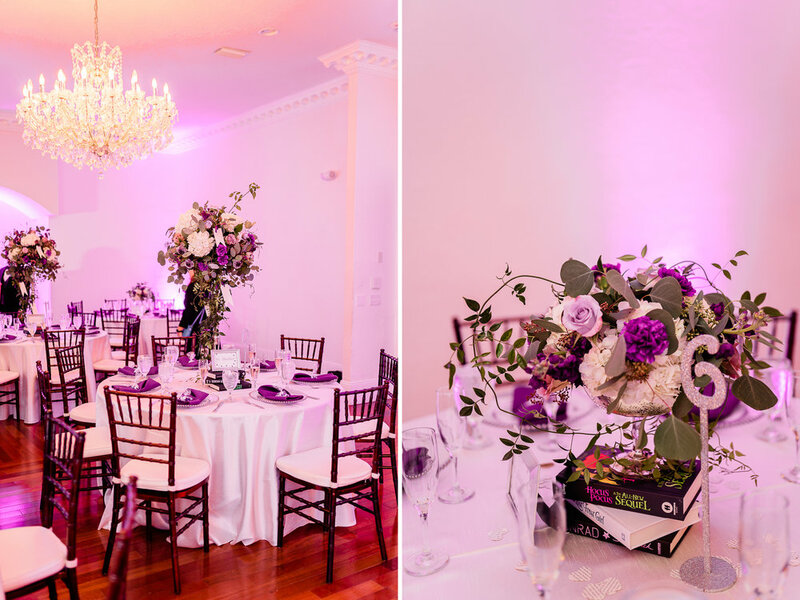 Then at each table the beautiful floral centerpieces were elevated by books representing each genre! It was a great idea with a perfect execution! To brings things back to full circle, Michelle had the library decked out in some fun stuff too. What does a library in an old mansion sized house make you think of? Clue! Like… the board game! So Michelle and Michael decorated the library with fun little hints of Clue all throughout the library like having an pipe wrench, candlestick, (toy) revolver, and more scattered all around. Their guests loved the idea, and with the photo booth in the library too there was plenty of fun and laughs to be had. 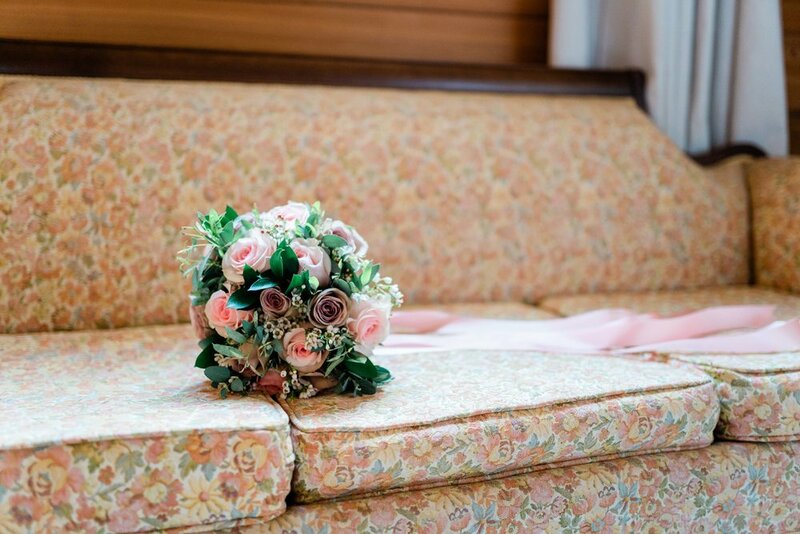 Michelle and Michael, we want to thank you from the bottom of our hearts for trusting us with your wedding day. 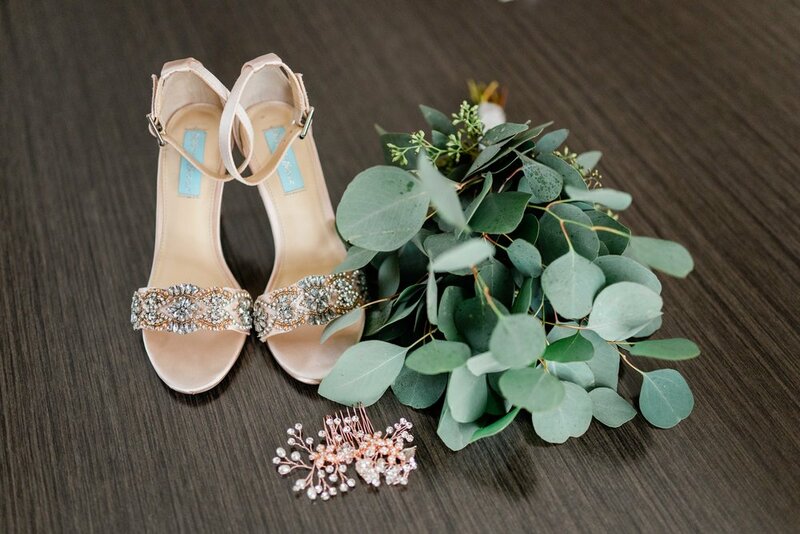 Your wedding was truly unique, beautiful, and fun. 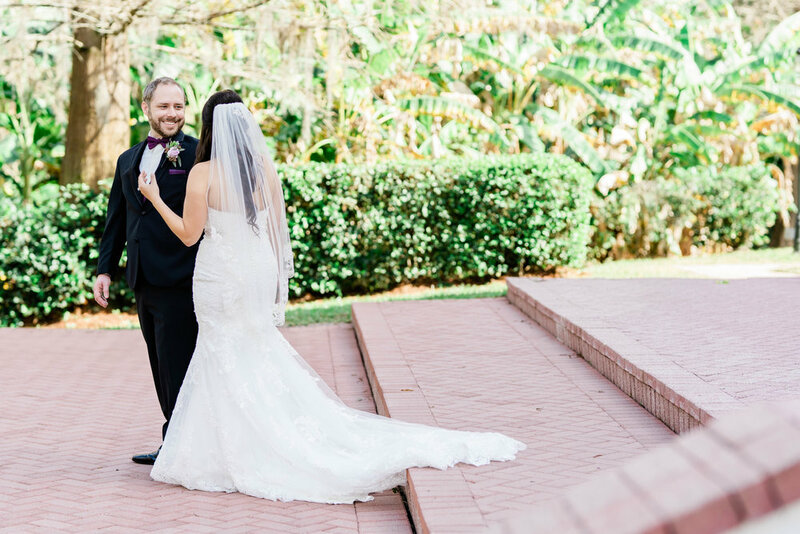 We loved capturing every page turning moment, and are thrilled that you two have found your happily ever after with each other. 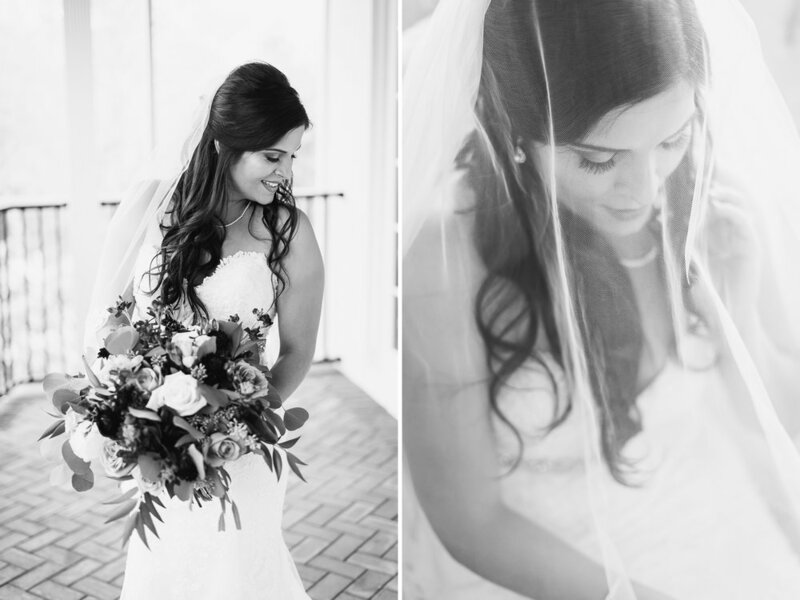 It was an honor and a pleasure to photograph your wedding. Congratulations again Michelle and Michael! 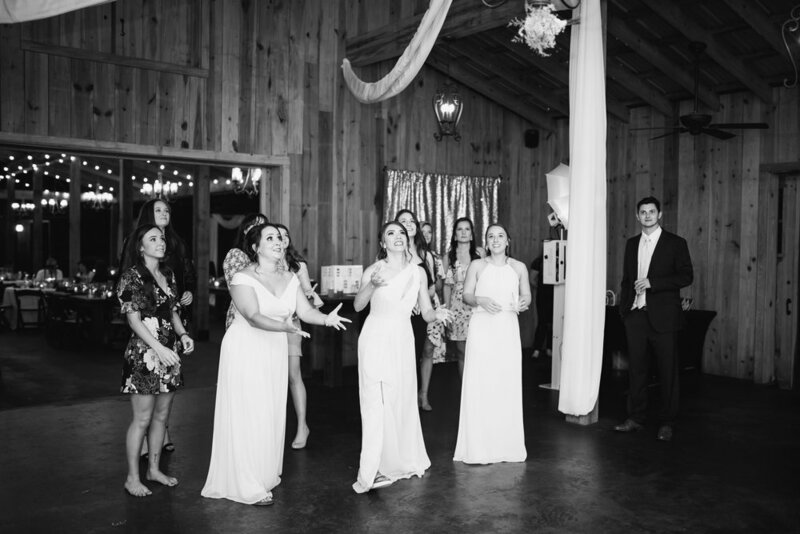 As they twirled together on the dance floor, all eyes were on them. They were in their own little world with only eyes for each other. 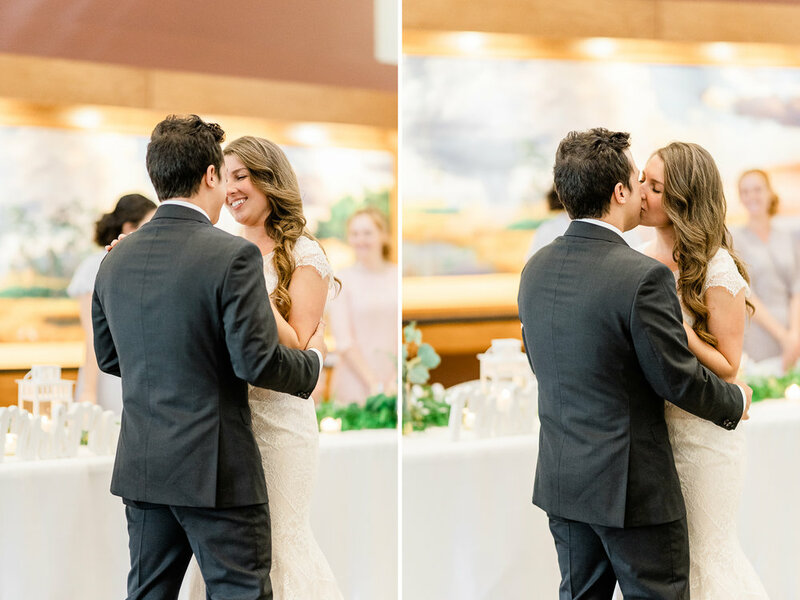 As they smiled up at each other and stole little and not so little kisses, the mother of the groom softly wept. What a joyful day to see Joe and Becky finally married! 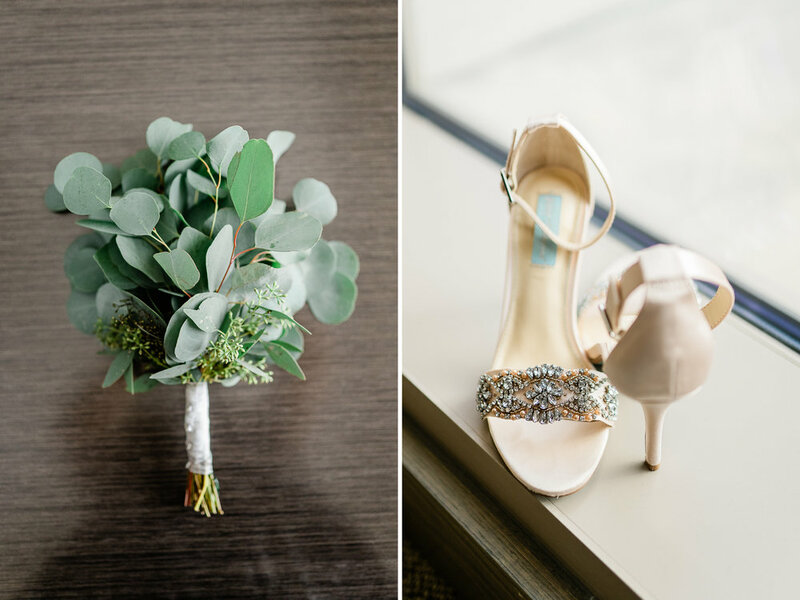 After doing Joe and Becky’s engagement session, we knew their wedding would be beautiful. 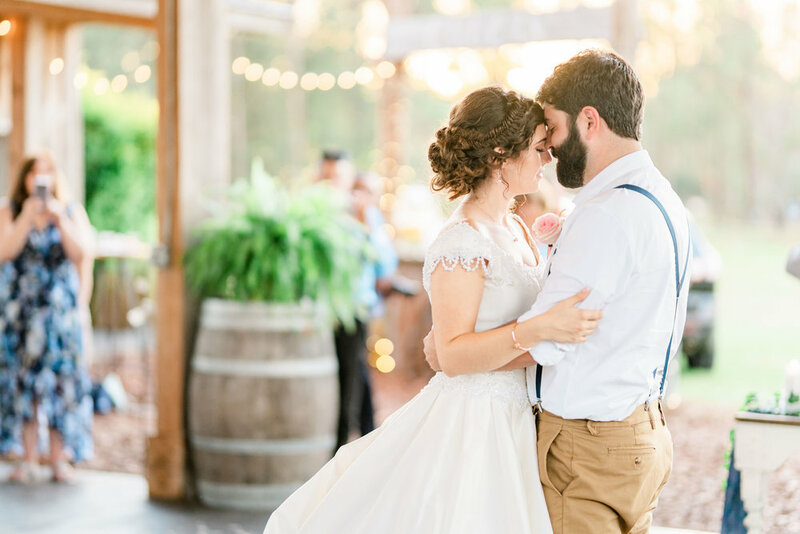 They were married at Isola Farms. 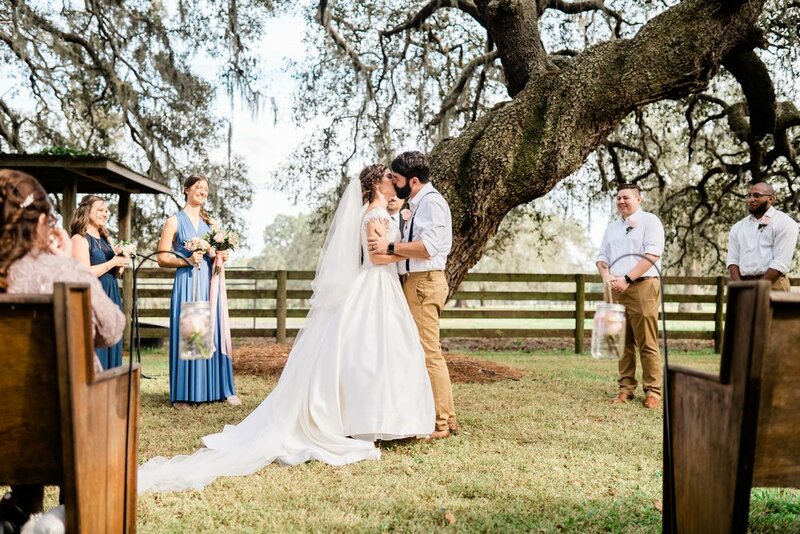 It is a beautiful venue with plenty of towering oak trees, and large pastures with animals in them like longhorn cattle and horses. 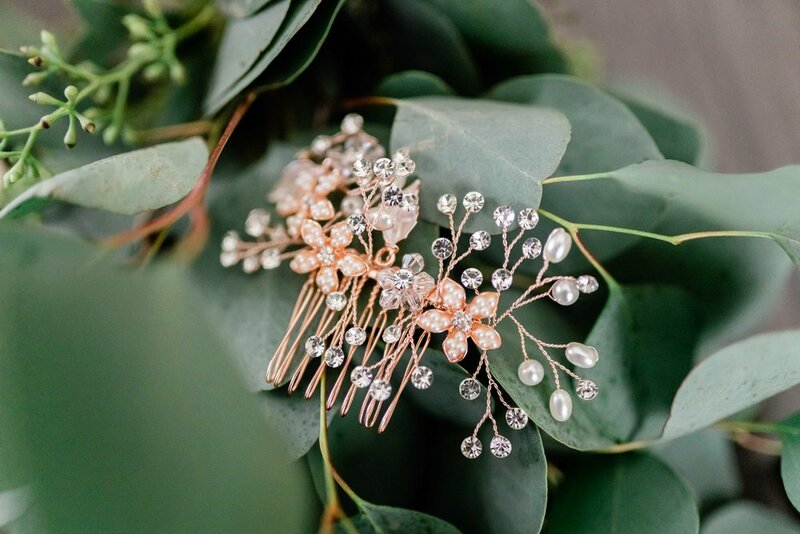 Because they were married in December, there were beautiful lights strung across all the fences and overhead at the reception space. 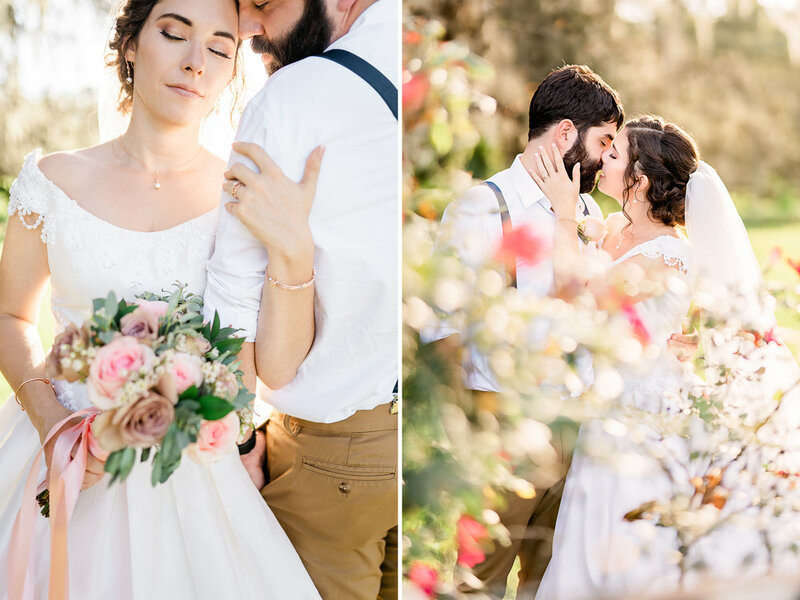 It was the perfect venue for these two and for perfect photos! Joe and Becky’s getting ready was also so different we couldn’t help but laugh. All the girls were calmly chatting while getting their hair and make-up done early. One of them was reading a book while curled up in a chair. 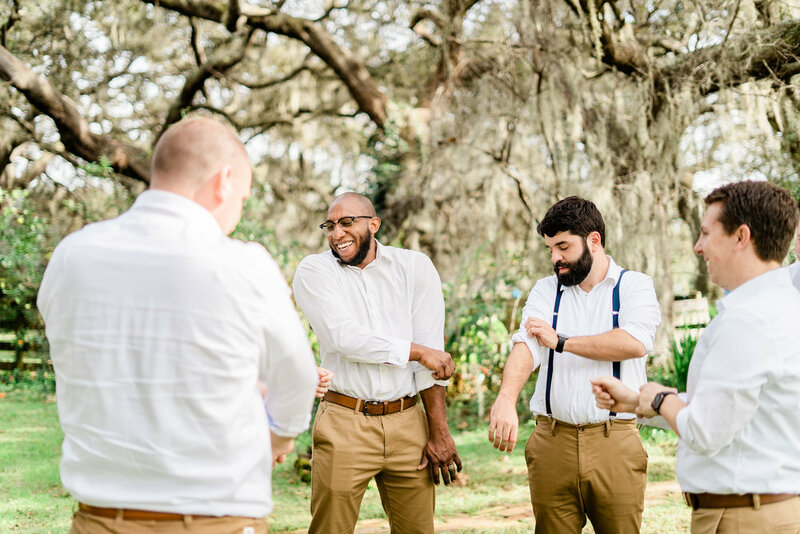 The guys on the other hand were all on their feet joking with each other, and later scrambling to get everything they needed so they could be at Isola Farms on time. Some of the guys even took a minute to get a quick workout in! We had a really unique opportunity with Joe and his groomsmen. 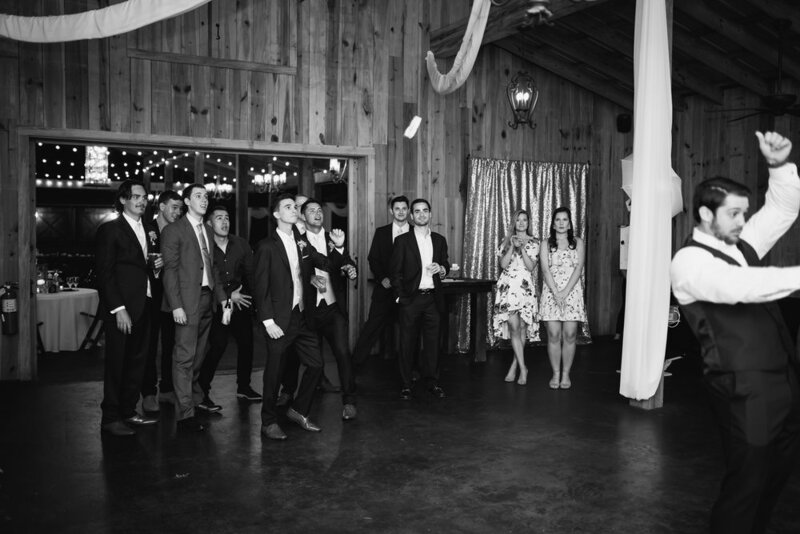 Joe was in the barnhouse avoiding accidentally seeing Becky prior to their ceremony when he asked for a moment of prayer with all of his groomsmen. They all encircled him and each gave a beautiful and thankful prayer. Then Joe prayed. He gave thanks to all the guests who traveled to his wedding, for the love and support of all those who could and could not make it, he was thankful for everybody who contributed their services and time to his and Becky’s celebration! It was a beautiful moment and shows what a beautiful support system this amazing couple has around them. Now during Joe and Becky’s entire relationship they have never kissed. 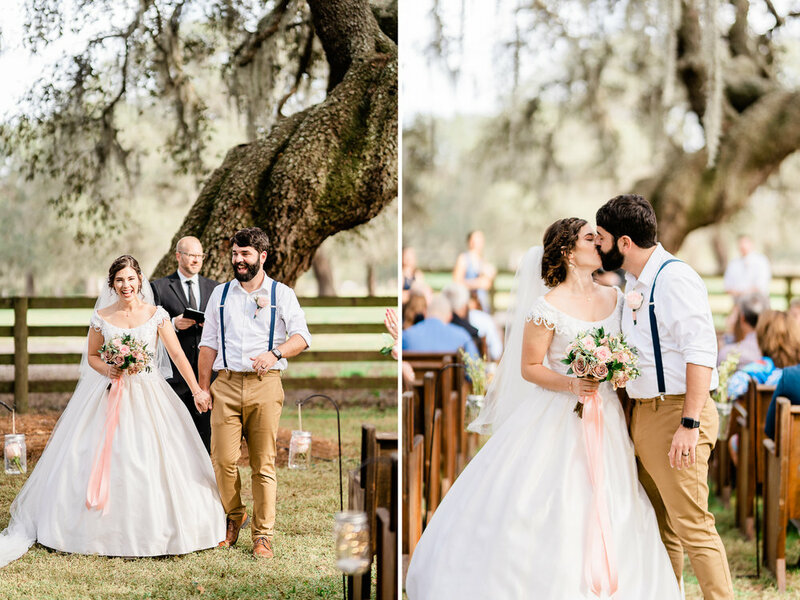 They waited to share their first kiss until they said their wedding vows and became Mr. and Mrs. It was a beautiful moment that they shared with all of their guests. Afterwards, Amanda turned to me and said “That was the most romantic ceremony I have been to in a long time!” And she was right! 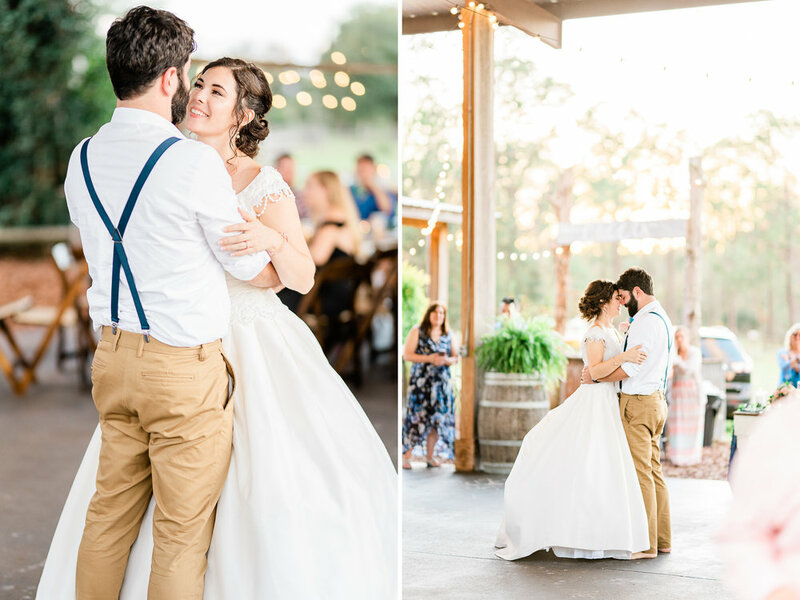 All of our couples are in love and beyond excited on their wedding day, but Joe and Becky were savoring every second of their day. 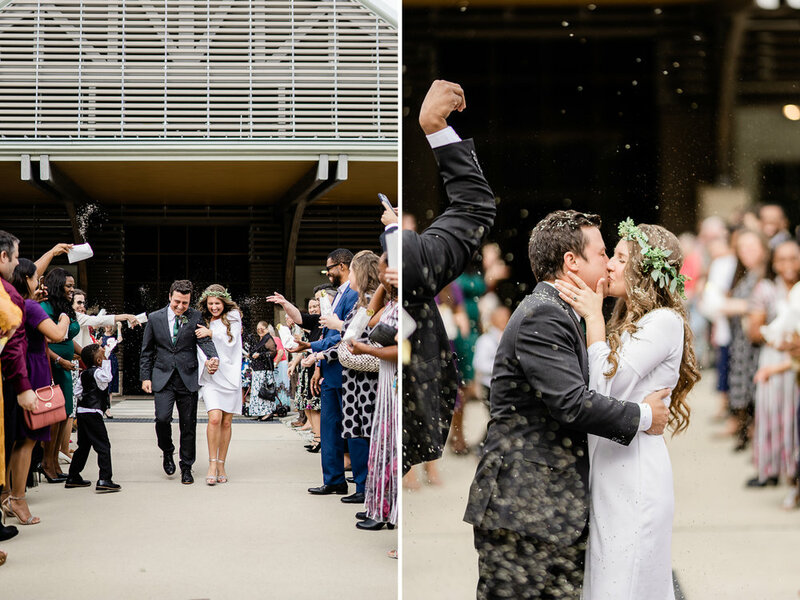 They weren’t letting the excitement distract them from the most important part of their day… their spouse. 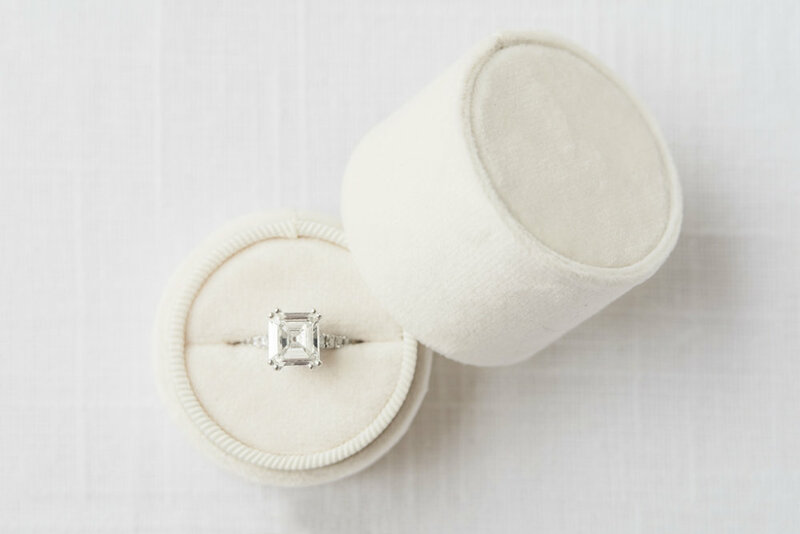 We are so excited for Joe and Becky’s new journey together and are so honored that they chose us! 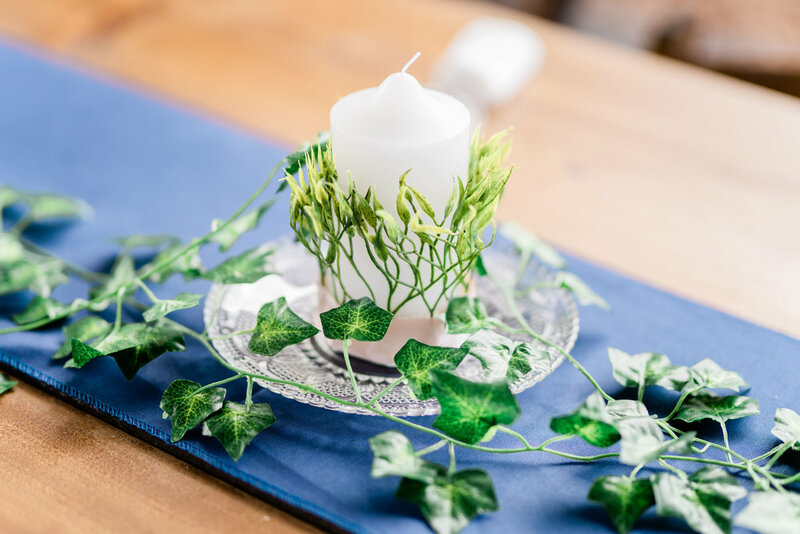 If you’d like to choose us for your wedding day, or would like more information about our wedding packages, just click here! 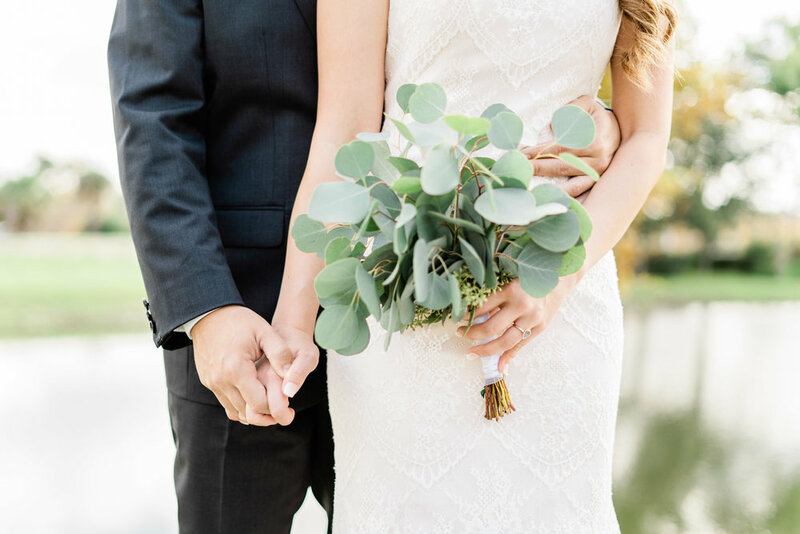 Surrounded by family, Ala and Tareq had the perfect intimate wedding at Alfond Inn. Miguel and I did not get as much lead time before this wedding as we usually do with our couples. 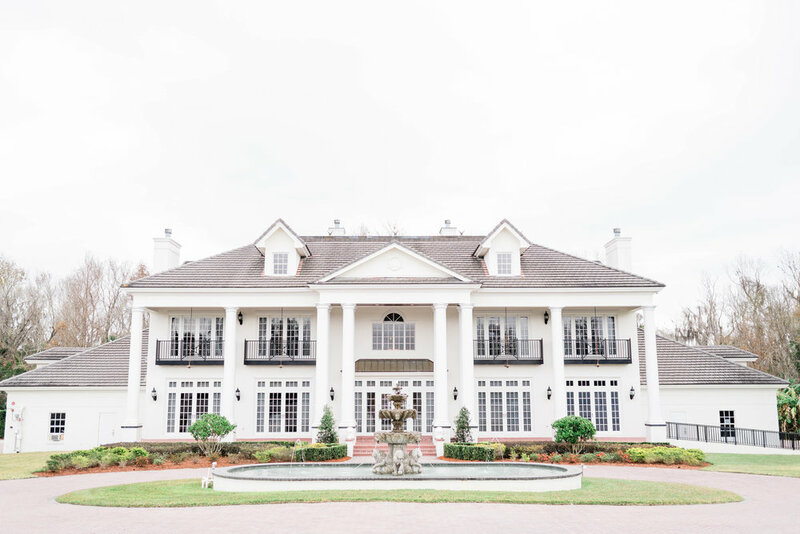 We didn’t have time for an engagement session or any of the usual pre-wedding things because Ala and Tareq found us TWO DAYS before their romantic Alfond Inn celebration! But none of that mattered, because they were naturals in front of the camera. Of course, it would be hard for them not to be. I mean look at them, they’re stunning! 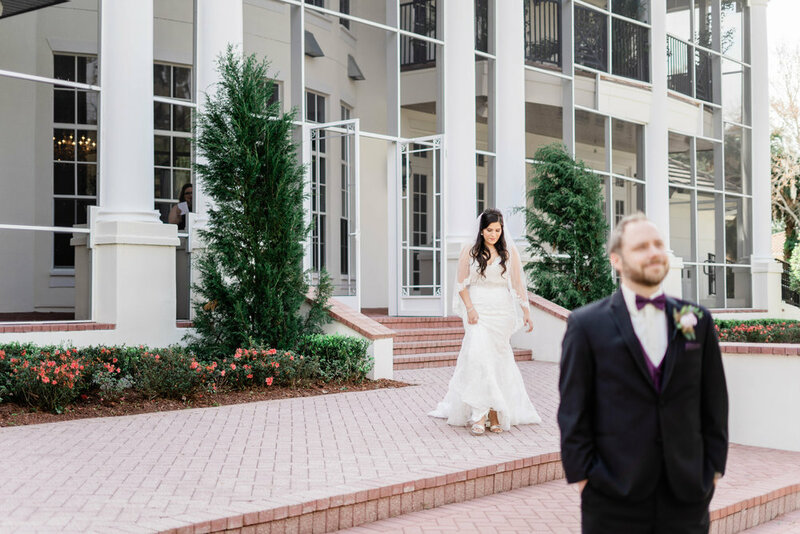 Few venues do luxury weddings in Orlando as well as the Alfond Inn in Winter Park. 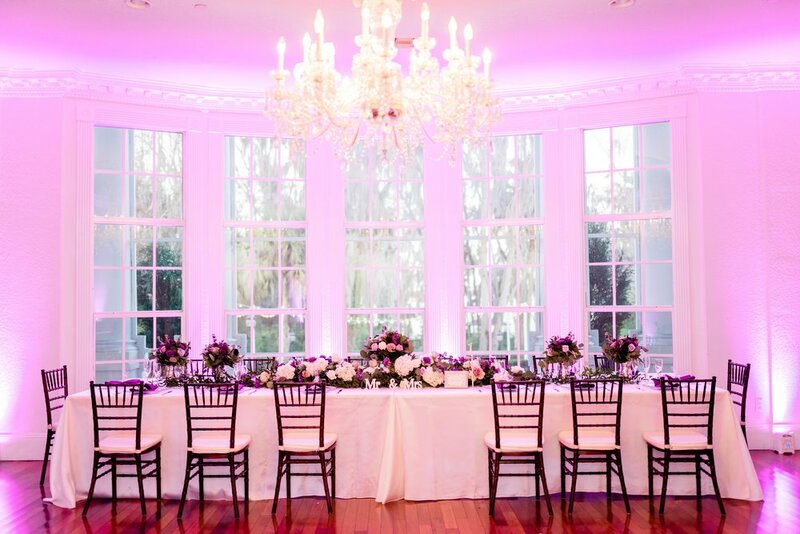 Even on a smaller scale, like this gorgeous intimate wedding, Alfond Inn is unparalleled. 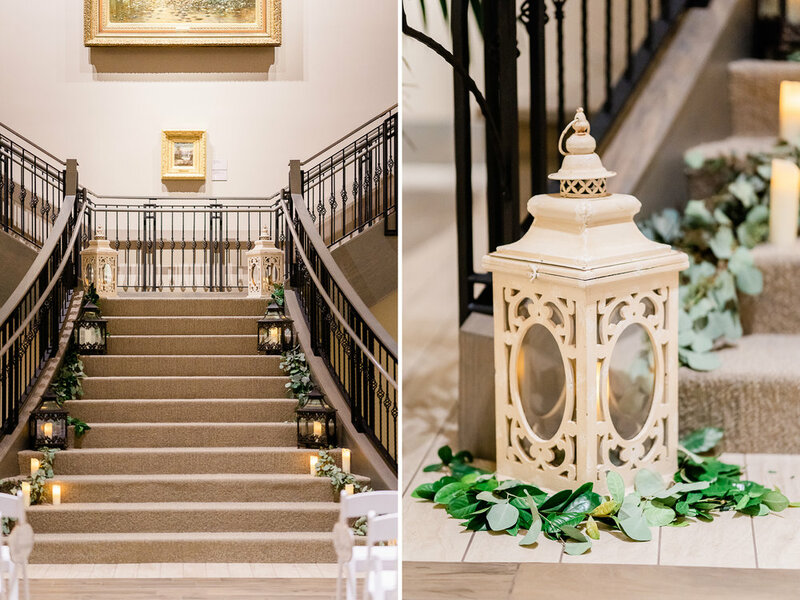 The scenery, service, and atmosphere were all the perfect setting for this sweet and romantic wedding party.